This natural cough and cold remedy has been used for generations in Korea and, with a few simple changes, can be allergy-friendly, too. Traditional Baesuk recipes use fill pears with honey, ginger, jujubes or dates and pine nuts. The honey in this recipe is a critical ingredient since honey is medically recognized as surpressing coughs as well as medicinal cough surpressants (http://www.mayoclinic.com/health/honey/AN01799). The ginger also plays an important role in this remedy as ginger is recognized for treating asthma and cold/flu symptoms worldwide (http://www.medicalnewstoday.com/articles/265990.php). The recipe is rounded out with a pear which offers about 10% of the recommended daily intake of Vitamin C, known to boost the immune system. However, not all of the traditional ingredients are beneficial to those with multiple food allergies. My recipe has replaced the dates, which are often cross-contaminated by nuts, and replaced them with prunes. Many cultures hail prunes as having medicinal benefits for colds and asthma. I have also chosen to omit the pine nuts because if you are seed, tree nut, peanut or pine allergic, you may also be allergic to this seed by virtue of cross-reactivity or actual allergy. If you are not sensitive to pine nuts, you may want to include the pine nuts for added texture and nutritional value. Fill steam pot with water, place lid, and bring to boil. Cut the top off of the pear and reserve. Use a spoon or melon baller to scoop out the core from the pear. Place the cored pear inside the steamer. Place honey, ginger, and prune inside of pear then place top on pear. Place steam tray on steamer and cover with lid. Steam pear until soft to forks touch. Gently remove pear from steamer and place in a bowl. Allow to cool. 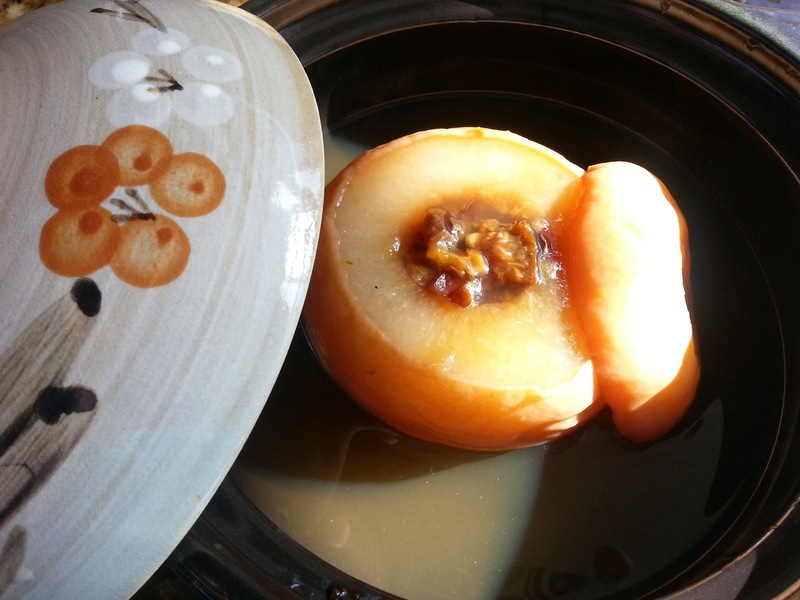 As it cools, the juices from the steamed pear with settle in the bowl to make a lovely tasting syrup. Drink syrup and eat pear with its contents to help coughs or colds. Place the cored pear inside a clay crock. Add enough water to reach about 1/3 the way up the pear(s). Place lid on crock and place in oven. Cook pear until soft to forks touch or water has steamed out (about an hour). NOTE: If your steamer or crock will hold more than one pear, you may cook many at one time. Just cook until pears are soft or water has steamed out of crock. TO STORE: Place pears and juices in a bowl, cover and refrigerate. You may reheat pears or juices in the microwave. You may also pour a little hot water over a cup of syrup to warm it up for drinking. This year was an exciting one for us. My angel is tolerating peppers and it has opened a whole new world of flavors. This rub is perfect for the grill. Generously rub on a piece of tri-tip or sprinkle over chicken tenders for a simply delicious meal. Mix together ingredients and store in a jar with a shaker lid. This summer was one of many food challenges. Perhaps the most exciting was the one that showed a tolerance to cooked tomatoes. WOW.... we had forgotten what we were missing! Even my angel was thrilled to taste her first tomato sauce, pizza, meatloaf and more. With school in full swing and football season upon us, this is the perfect time for a quick and healthy snack like Simple Salsa. This recipe is kid-friendly so there are no veggie chunks, easy on the garlic and onion with a touch of sugar to cut the acid. Taste and adjust salt and onion. 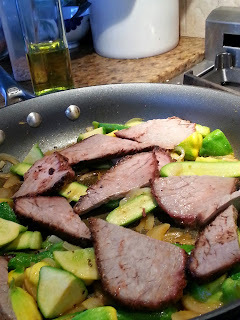 Place in refrigerator for at least 30 minutes so flavors will blend. 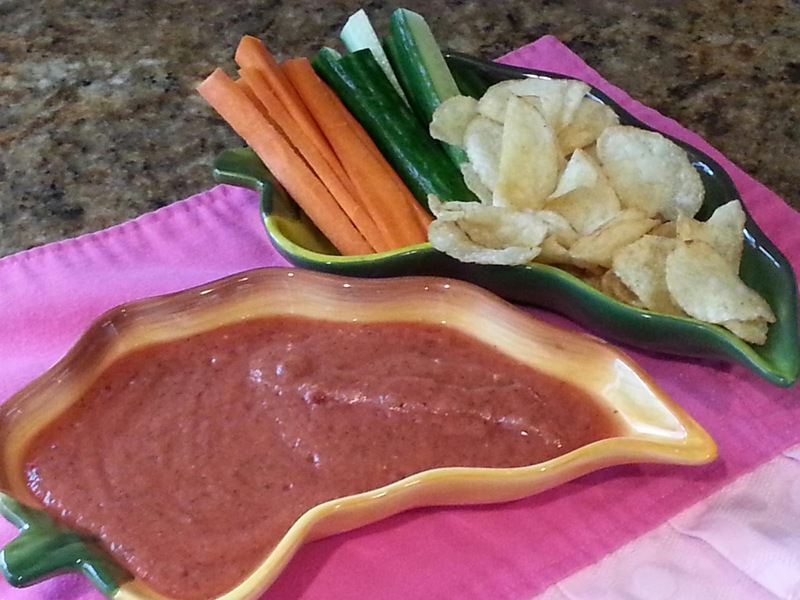 Serve with Bolder Olive Oil potato chips, sliced vegetables, hamburgers, or taco salad.